Like all fish oils, salmon oil is rich in the omega-3 fatty acids, docosahexaenoic acid (DHA) and eicosapentaenoic acid (EPA). These offer a range of health benefits, from reducing risk of heart disease, to improved cognitive function, and the easing of arthritis symptoms. 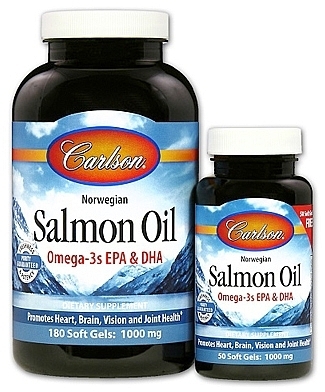 Salmon oil is primarily taken as it is a rich natural source of EPA and DHA. It's different from other fish oils because it contains less vitamin A while maintaining roughly the same amount of vitamin D per dose. Unrefined salmon oil also contains astaxanthin, a beneficial antioxidant not found in cod liver oil or oil blends made from fish, such as mackerel and sardines. Taking in less vitamin A is beneficial if your diet is already rich in the nutrient (you're taking a multivitamin or other supplements that contains it, for example). Taking too much vitamin A can cause vitamin toxicity and lead to a number of medical problems. Like other fish oils, salmon oil is not regulated and does not have an established recommended daily allowance (RDA). Supplement manufacturers generally provide gel caps in doses in the range of 500mg to 1g. No more than 3g of fish oil, including salmon oil, should be taken per day as they may cause internal bleeding. Salmon oil is one of the richest sources of omega-3s available. 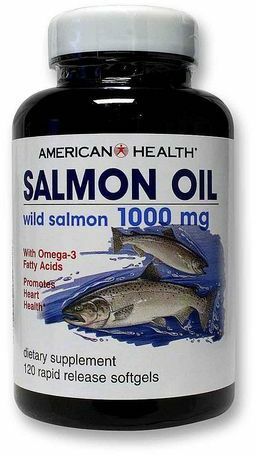 Salmon oil is generally sold in gel cap form. When it's sold in liquid form, it's usually the kind that is raw and unfiltered, which offers advantages, as well as disadvantages. Liquid salmon oil also tends to carry a higher price tag. Low-grade liquid salmon — not suitable for human consumption — is more commonly sold for dogs. 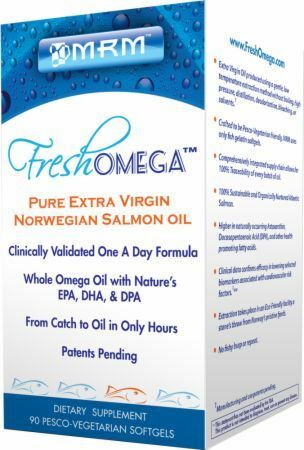 As with most fish oils, salmon oil is derived from a natural food source and does not have dangerous side effects unless you have a seafood allergy. Any side effects will be minor irritants or cosmetic — such as an unpleasant taste or odor, temporary bad breath, gastrointestinal discomfort, or loose stools. 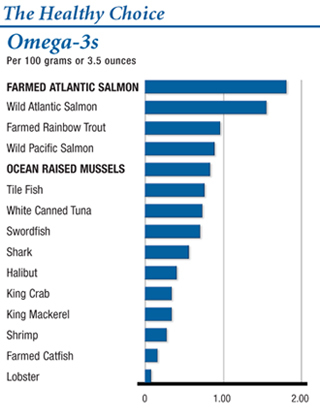 Salmon tends to have some of the highest levels of mercury among fish. While mercury tends to bind to the muscles of fish, it is still important to verify that any salmon oil supplement is purified to remove PCBs. Oil that is purified will be advertised on the label, and prominently featured adjacent to the nutritional information. Purification is usually done in accordance with the association of analytical communities (AOAC) protocols (an international non-profit entity that establishes chemical analysis standards frequently used by governments). A reputable manufacturer should have a certificate of analysis (COA) available at their website, or upon request, that verifies the results of testing performed by an independent laboratory. Salmon oil only occurs naturally in salmon. If you choose to get your fish oil from salmon, shop around carefully as different fisheries and farms have very different levels of mercury and PCBs in their product (independent testing results from government agencies are best). 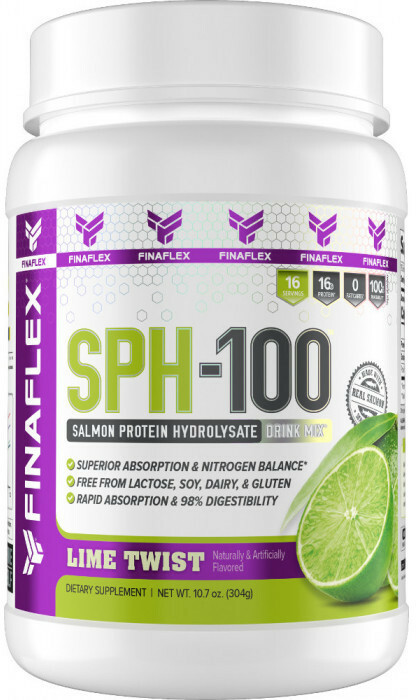 The beneficial EPA and DHA in salmon oil can be obtained from the tissue of other oily fish. Your body is also able to synthesize them from alpha-linoleic acid, which occurs in a wide range of foods. Since salmon tends to have some of the highest levels of mercury among fish, look for a purified salmon oil supplement. The FDA does not regulate salmon or other fish oils. Always talk to your doctor before beginning any new program of supplementation. Do not consume more than 3g per day of salmon or other fish oil except under supervision of a doctor, as it may cause internal bleeding. 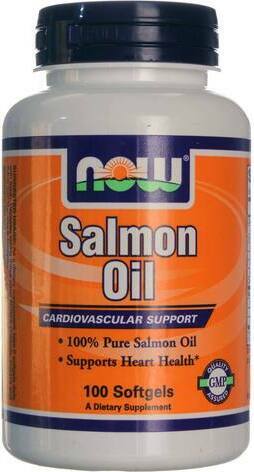 Because salmon oil can lower blood pressure, it should not be used if you are taking blood pressure medication. Salmon oil can be found right here at Priceplow, and at 30% to 50% off of retail cost. Let Priceplow comparison shop for you so you can focus on staying healthy. 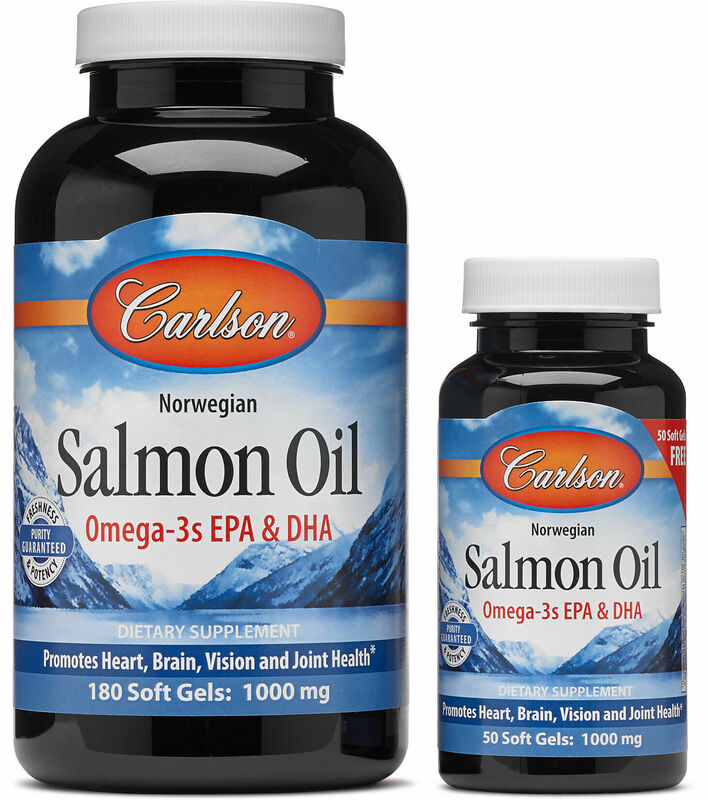 Carlson Norwegian Salmon Oil Complete was created. 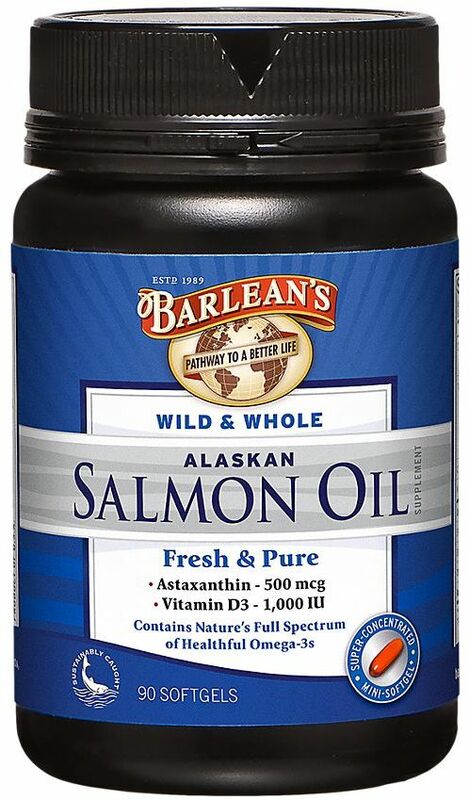 Barlean's Wild & Whole Alaskan Salmon Oil was created. Sign up for future Salmon Oil news! 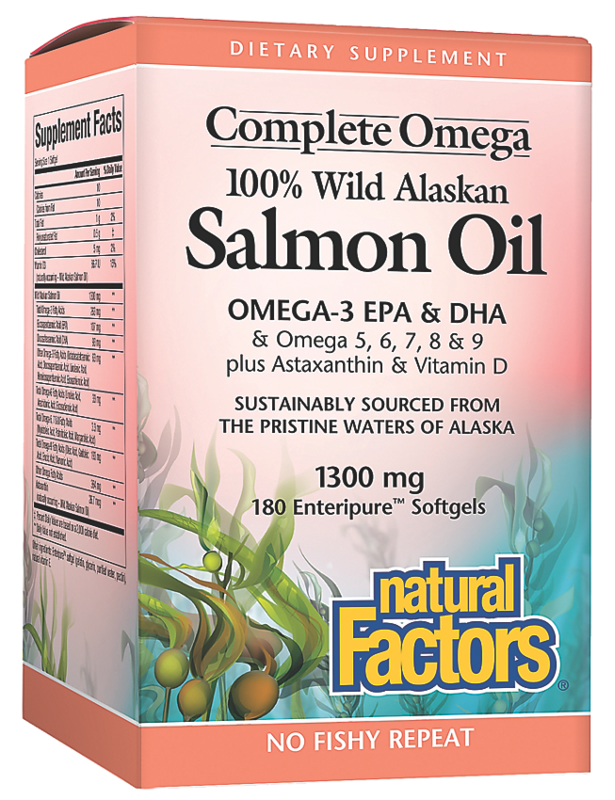 Click the button below to sign up for future Salmon Oil news, deals, coupons, and reviews! Sign up for future Salmon Oil deals and coupons! 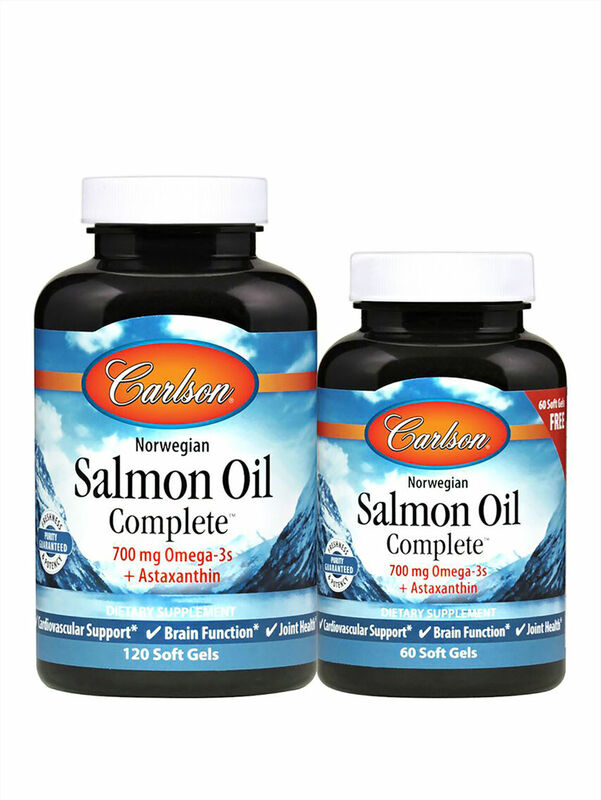 Click the button below to sign up for future Salmon Oil deals, news, and coupons! $17.26 This is a Buy 1 Get 1 FREE offer! $42.19 This is a Buy 1 Get 1 FREE offer! Made from 100% Real Norwegian Salmon!